We were checking out the Philadelphia Museum of Art and we saw something that really made our day. There was an entire class of fourth graders sitting down in front of Marcel Duchamp’s “Fountain”. 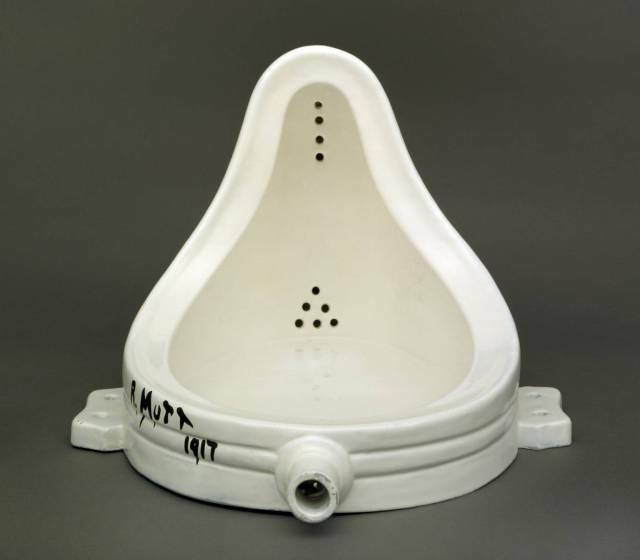 A teacher/docent was going on about the significance of the urinal and it stature in Modern Art. It was all so serious. The note taking! The hushed tones! The reverence! The “hollowed” art object! Duchamp smiles back inscrutably.